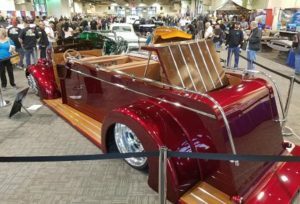 The 46th Annual O’Reilly Auto Parts Boise Roadster Show returns to Expo Idaho over the weekend of March 9-11. Presented by Les Schwab Tires, the show takes place at Expo Idaho. Presented by Les Schwab Tires, the show features many of the top competitors traveling to Western Idaho from throughout the United States and Canada. 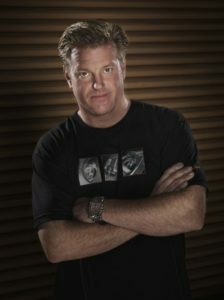 We are very excited to have special guest Chip Foose return in person to this year’s Roadster Show. 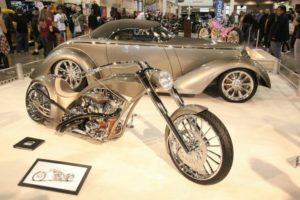 Inspired, designed and built by Foose, the winner of both America’s Most Beautiful Roadster and America’s Most Beautiful Motorcycle will be shown by Colorado’s Ken Reister. The matching pair will be displayed together in a stunning representation of outstanding workmanship, vision and hand-crafted beauty. If you haven’t had a chance just yet, be sure and read more about Chip and an amazing career on his all-new website at: https://www.chipfoose.com/. Thanks to Marvel Comics, kids will be excited to meet Spiderman on Saturday and Sunday of the show weekend. The show is also excited to have the “Renaissance” Roadster of Buddy Jordan participating, a remarkable build out of Steve’s Auto Restoration in Portland, Ore.. 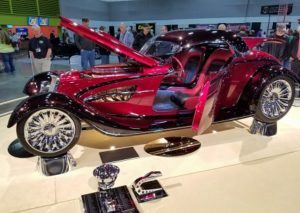 The handbuilt `33 Ford Roadster captured the prestigious Ridler title at the Detroit Autorama in 2017. We’re also very excited to feature one of the wildest Fire Trucks ever built. Rosario Trujillo from Rowland Heights, Calif., will be bringing his outrageous “Rescue 39” customized Fire Truck that will positively shock the senses. It’s gigantic in size, ultra low to the ground, and a brilliant shade of candy apple red that is almost as smooth as glass. After debuting at the SEMA Show last November, it has truly earned the title of “a sight to behold”! 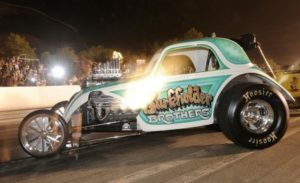 Top this off with the first Idaho appearance of the famed “Burkholder” AA/Fuel Altered Fiat Topolino and we think you’re in a for a real treat at this year’s show. Easily one of the most powerful custom cars ever built, we are excited to have the “Maybellene” 1958 Lincoln Continental of Tad & Sue Leach from Coeur d’ Alene, participate at the Roadster Show. The build was showcased on the hit Velocity t.v. show Bitchin’ Rides. The car was debuted at the SEMA Show in Vegas last November. 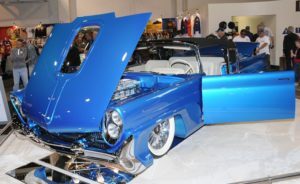 Thus far it has won Best Custom at the Grand National Roadster Show and the “King of the Kustoms” title at the Sacramento Autorama (along with with many other accolades). The Lincoln features a twin blown motor that reportedly puts out nearly 1,000 horsepower! TONS OF COOL AWARDS ON THE LINE! Every entry that participates in the show will win an award. The top prize of the Roadster Show is called the Goldmark award. The Goldmark will go to the one entry deemed “Best of the Best’. The grand prize is $2,000 in cash, along with an embroidered jacket and special award statue. The “Essence of Cool”, the Trendsetter, Wild One, Fire Rod, Mighty Fine and Tompkins are additional special awards. A tradition at the Roadster Show every March, the New family will induct an honoree for the Master-Builder award. This plaque is presented to a person who has helped to positively influence, shape and make the Roadster Show a better event over the years. Don’t miss Friday Night, March 9th, when the Miss Roadster Show Swimsuit Pageant presented by Eagle-96.9FM takes center-stage. The pageant offers a $1,000 cash prize pool and a shoot in the Motorsports Annual. Pageant will get underway at 8 pm. We will notify you of your acceptance into the show. Your patience is appreciated as we review all applications that are submitted each and every year. Please provide a detailed status description should your entry still be under construction or in-progress.